The 27-year-old Tamil Nadu all-rounder will be joining the team in Australia and New Zealand as a replacement of Hardik Pandya, who has been suspended by the BCCI for his controversial comments on a TV show. 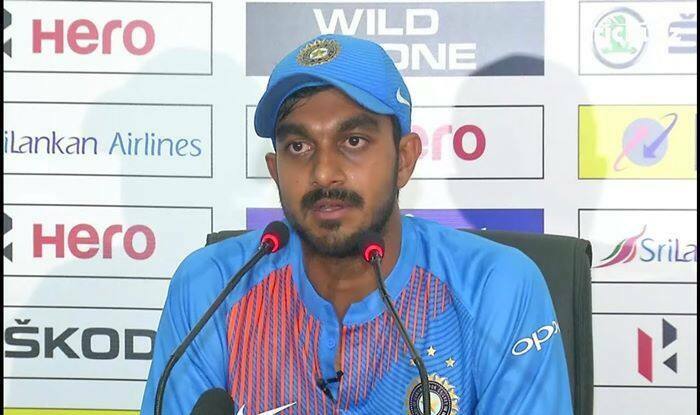 Vijay Shankar was mercilessly roasted by fans when he failed to pick Mustafizur Rahaman’s variations during the Nidahas T20 final but Rahul Dravid’s confidence in his “finishing abilities” has made him more confident for his upcoming second stint with the Indian team. The 27-year-old Tamil Nadu all-rounder will be joining the team in Australia and New Zealand as a replacement of Hardik Pandya, who has been suspended by the BCCI for his controversial comments on a TV show. In February last year, Shankar’s big match temperament was put to test against a quality Bangladesh attack but the Tamil Nadu captain has come a long way since then. “I will have to be prepared and if an opportunity to comes along the way, I will have to grab it,” Shankar signed off.